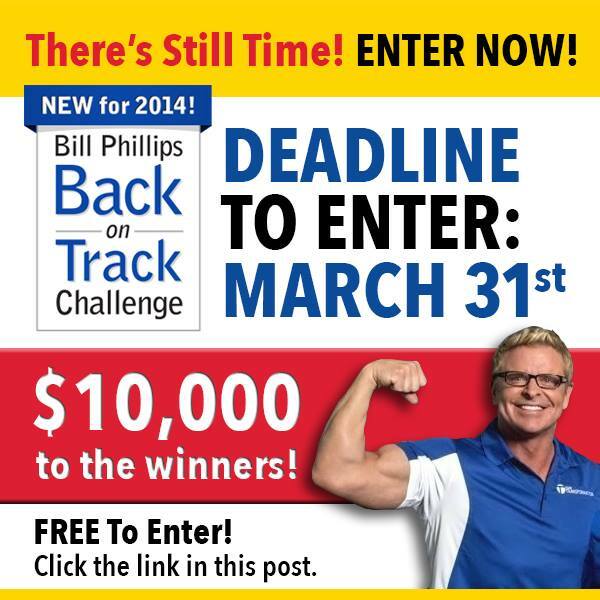 Enter The All NEW Bill Phillips Challenge Now! Are YOU up for a Challenge to Change Your body and health for life? In the spirit of the original Body-for-LIFE contests, we are putting together a NEW Challenge and it starts NOW! The game is the same… take your before photo, follow one of our proven programs of exercise, healthy nutrition, and community support, then take an after pic and write a short story about your experience to share with us and others. Everyone who finishes wins the incredible ‘prize’ of renewed health and a better body! The top transformation wins an all-expenses paid, dream vacation for 2 to Maui! Everyone who enters will be invited to participate in our private online community group where you can tap into the positive energy of the whole team… supporting and encouraging others and offering friendly accountability within the group are ways you can help others succeed and make a difference! Are you interested in being involved in this new challenge? There is no entry fee and no purchase is required and I will provide specific instructions that show you the exercises, the nutrition and meal plans, and mindset work. If you are in, let me know by clicking the link below to sign up now, for FREE! I’m challenging YOU to stop procrastinating and start rebuilding your body and life! I’m challenging you to get your health and fitness back on track! If you’re at the point where you look in the mirror and honestly don’t like the body you see; if you’ve been in great shape before and would love to look and feel like that again; if deep down inside you’re anxious and concerned about the direction your health is going; if you’re sick and tired of feeling sick and tired…AND, if you’re ready to confront the situation head on, than this challenge is for you! I’m putting up $10,000 in Cash as an incentive for those who give it their all! Let’s take ACTION and make 2015 the healthiest year ever! Christen Manak is our Newest $5,000 Challenge Winner!! Christen Manak is the women’s category $5,000 winner of our Transformation Challenge Contest, which started at the beginning of this year. We selected her because not only did she make great progress during the time of her 12 week Challenge; but also because of the incredible perseverance, patience and determination she has shown over the past 3 years. Christen has successfully completed challenge after challenge — moving forward each time towards the direction of her long term health and fitness goals. Christen has been a positive and active member of the Transformation Challenge support groups and has been a humble hard worker — leading by example. Christen Manak’s story has now come full circle in a beautiful and healthy way. 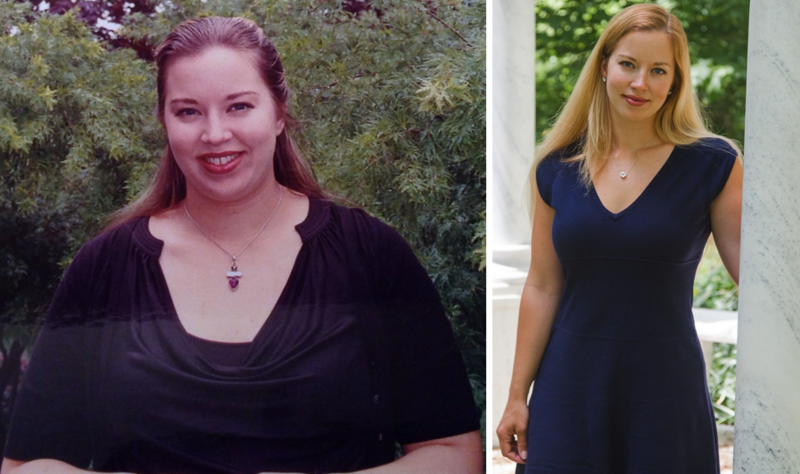 She started this journey at 214 lbs and set her sights on getting back to a healthy weight after becoming a Mom. Now, 65 pounds lighter (149 lbs) with a lifetime filled with healthy habits around eating and exercise, Christen and her supportive, loving, husband are now blessed again with another baby on the way. Congratulations Christen Manak for truly Transforming your Health for LIFE and inspiring others to do the same! From Christen Manak: I started my first challenge three years ago. I had just finished a difficult pregnancy and because of bed rest and lack of healthy nutritional choices I had gained sixty five pounds! Over the past three years I’ve had some life setbacks with a broken leg/ankle and long distance move, but I’ve kept returning to a healthy lifestyle and it feels great! At the conclusion of this challenge, my husband wisked me away for a romantic tenth anniversary cruise to Bermuda! It was so amazing to get dressed each day and see the pride and joy in my husbands eyes as he looked at me. Even at my heaviest he always made me feel loved and told me how beautiful I was to him. As he looked at me on that cruise and again whispered how beautiful I was to him, I could finally believe it! I knew it to be true! Who else wants to Win $5,000 and build Your Best Body? There’s Still Time to Enter my 2014 Back-on-Track Challenge! It’s FREE to sign up and no purchase of anything is required. This is a healthy and fun challenge, like my original Body-for-LIFE contests that have helped thousands of people make an incredible change from before to after! Now it’s YOUR turn!! Read all about it and sign up today! Give yourself another chance to get your health and fitness Back-on-Track! Are you in? If so, click the link below and let’s get started now! CLICK HERE NOW to learn more and sign up for FREE! Transform your Body, Renew Your Life! $10,000 Rewards! Read all about it and sign up today! The Challenge starts this coming Monday, January 13th. Give yourself another chance to get your health and fitness Back-on-Track!